杨明桂, 马振兴. 庐山第四纪冰川遗迹的观察与思考[J]. 地质通报, 2019, 38(2-3): 189-199. Yang M G, Ma Z X. 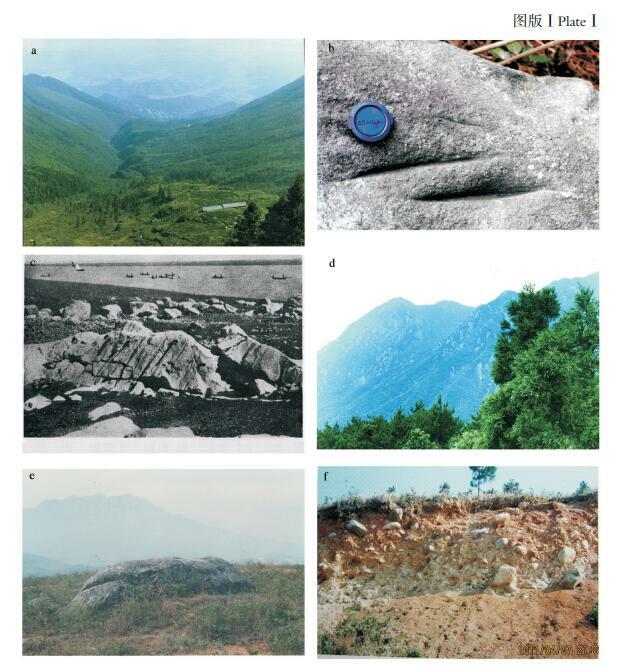 Observation and consideration of the vestiges of Quaternary glacier on Lushan Mountain[J]. 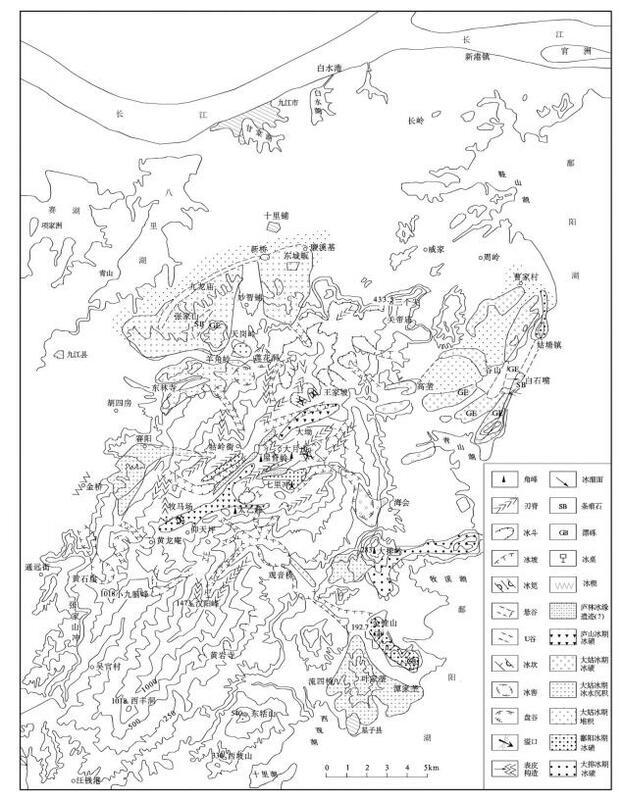 Geological Bulletin of China, 2019, 38(2-3): 189-199. Abstract: On the basis of research results, geological survey in Jiangxi Province and the authors' long-term geological observation and in view of the trans-century controversy of the Lushan Quaternary glacier, this paper deals with the mountain-building processes from S-type anticlinorium through horst block mountain to metamorphic core complexes, the outcrop condition of stratigraphic rock, and the mountain outline during the Quaternary glacier since the Cretaceous period. In addition, it gives the observation results and ideas concerning the disputed problems on the glaciated landform, glacier period and interglacier sedimentation. In comparison with the landform and sedimentation formed as a result of Pleistocene glaciation and Helocene subtropical moist and rainy climate, it reveals the significant differences between them and the differences between debris flow and glacier drift, and clarifies the flowing water influence on the glaciated landform and the typical glaciated and composite equeolandform. Finally, it indicates that the formation and remains of Lushan Quaternary alpine glacier are closely associated with the unique horst block mountain tectonic landform, the coolest microclimate and the thickest and hardest sandstone in Liantuo Formation, thus laying a foundation of the Quaternary glacial geology in China, and holding the unique well-preserved Quaternary alpine glacier vestiges in the mid-low latitude and mid-low mountains in the world. 李四光. 扬子流域之第四纪冰期[J]. 中国地质学会志, 1933, 13(1): 15-62. 李四光. 关于研究长江下游冰川问题的材料[J]. 中国地质学会志, 1934, 15(3): 359-432. 李四光.冰期之庐山.中国第四纪冰川[M].北京: 科学出版社, 1973: 56-110, 1947: 1-60. 孙殿卿, 杨怀仁. 大冰期时期中国的冰川遗迹[J]. 地质学报, 1961, 41(3/4): 233-239. 方鸿琪. 长江中下游地区的第四纪沉积[J]. 地质学报, 1961, 41(3/4): 410-411. 景才瑞, 刘昌茂, 罗志刚, 等. 庐山西北麓第四纪冰川作用表皮构造的新发现[J]. 科学通报, 1980, 25(9): 410-411. 景才瑞. 庐山没有第四纪冰川吗?[J]. 自然辩证法通讯, 1981, 3(4): 42-46. 周慕林. 庐山真的有第四纪泥石流吗?[J]. 自然辩证法通讯, 1982, 4(2): 40-42. 杨达源. 关于更新世冰川作用新认识[J]. 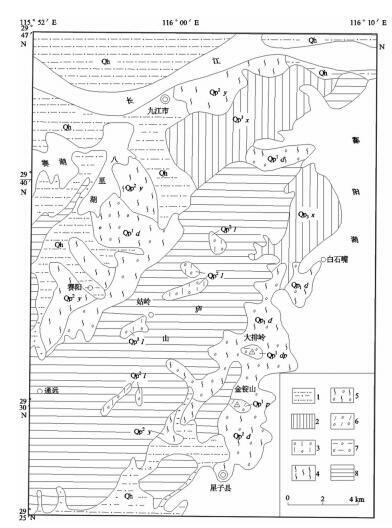 天津地质矿产研究所所刊, 1985, 9: 149-151. 吴锡浩, 钱方, 浦庆余.东昆仑第四纪冰川地质[C]//青藏高原地质文集.北京: 地质出版社, 1982: 6-23. 何培元. 从庐山第四纪地层中高价铁与低价铁的比值关系探讨古温度的变化[J]. 地质力学研究所刊, 1989, 13: 61-70. 何培元, 段万倜, 邢历生, 等. 庐山第四纪冰期与环境[M]. 北京: 地震出版社, 1992: 1-167. 何培元. 中国第四纪古气候环境的重建[J]. 中国地质科学院院报, 1992, 25: 121-130. 何培元. 长江干流第四纪沉积相与环境演变[M]. 北京: 地震出版社, 1994: 48-55. 蒋复初, 吴锡浩, 肖华国, 等. 九江地区网纹红土的时代[J]. 地质力学学报, 1997, 3(4): 27-32. 江西省地质矿产局. 江西省区域地质志[M]. 北京: 地质出版社, 1984: 331-357. 江西省地质矿产勘查开发局. 江西省环境地质志[M]. 北京: 地质出版社, 2017: 44-74. 江西省地质矿产勘查开发局. 中国区域地质志·江西志[M]. 北京: 地质出版社, 2017: 259-289. 马振兴, 余志庆. 江西九江长虹大道第四纪地层剖面特征[J]. 中国区域地质, 2001, 20(3): 352-358. 陈安东, 田明中, 赵志中. 江西庐山牧马场剖面泥砾堆积物的成因分析及年代测定[J]. 地球学报, 2014, 35(1): 111-118. Barbour G B. 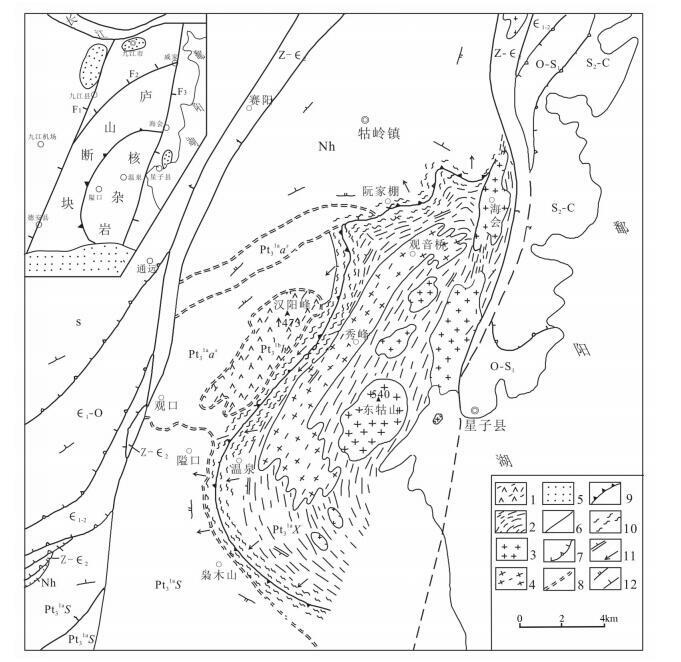 Analysis of Lushan Glaciion Problem[J]. Bull.Geol. Soe. China., 1934, XⅢ: 647-656. Teilhard, Yo ng. 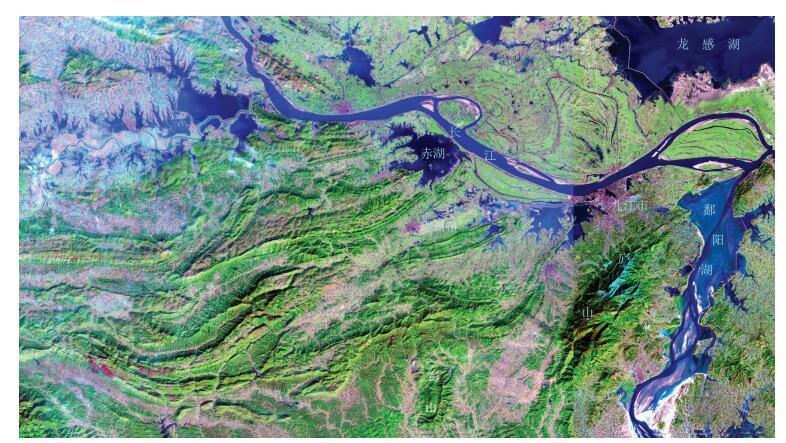 The Cenozoic Squence in Yangtz Valley[J]. Bull. Geol. Soc. China., 1935, XIN(2): 161. 黄培华. 中国第四纪时期气候演变的初步探讨[J]. 科学通报, 1963(10): 29-33. 施雅风. 庐山真的有第四纪冰川吗?[J]. 自然辩证法通讯, 1981, 3(2): 41-45. 施雅风, 崔之久, 李吉均. 中国东部第四纪冰川与环境问题[M]. 北京: 科学出版社, 1989: 1-462. 施雅风. 论李四光教授的庐山第四纪冰川是对泥石流的误读[J]. 地质论评, 2010, 56(2): 683-692. 邓养鑫. 庐山羊角岭附近"泥砾"成因的泥石流解释[J]. 冰川冻土, 1982, 5(1): 33-35. 张林源, 牟昀智. 庐山羊角岭"表皮构造"成因探讨[J]. 科学通报, 1981, 26(16): 1006-1008. 姚庆元, 庐山地区第四纪沉积物及冰期问题[C]//第四纪冰川与第四纪地质论文集(第一集).北京: 地质出版社, 1984: 98-103. 尹国胜, 谢国刚. 江西庐山地区伸展构造与星子变质核杂岩[J]. 江西地质, 1995(1): 3-15. 李中兰, 崔学军, 王冉, 等. 庐山星子地区中生代构造-岩浆事件与赣江断裂多期活动的关系[J]. 岩石学报, 2007, 23(4): 839-848. 邢厉生. 庐山地区第四纪冰期的古地磁年代[J]. 地质力学研究所刊, 1989, 13: 70-78. 马长信, 孙树槐. 试论彭山第四纪泥砾的成因[J]. 江西地质, 1987, 1(2): 141-146. 余成就. 德安彭山第四纪红色泥砾层的基本特征及成因分析[J]. 江西地质, 1993(3): 204-222. 赵良政. 庐山东南麓冰川作用表皮构造特征及意义[J]. 地球科学, 1985, 10(4): 71-75. 赵良政. 庐山更新世冰川作用构造特征与辩析[J]. 地球科学, 1988, 13(6): 635-643. 潘建英. 庐山更新世冰碛与相关沉积的新发现及微结构的研究[J]. 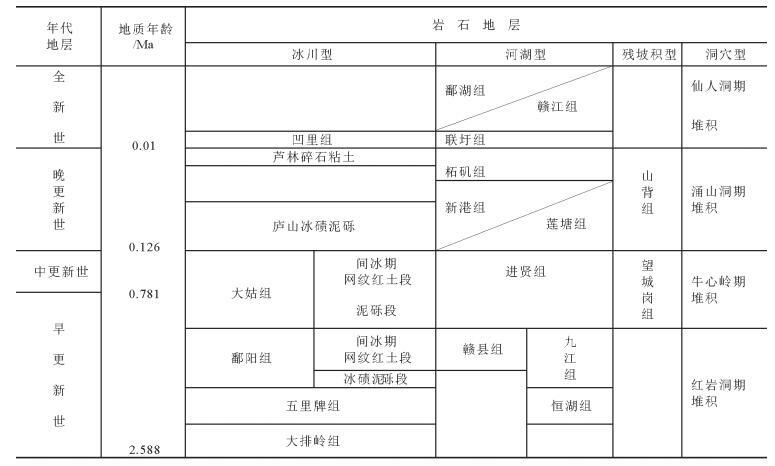 中国地质科学院地质力学研究所所刊, 1989, 13: 45-55. 叶正伟, 吴威. 庐山旅游区气候变化特征及其影响因素分析[J]. 地理科学, 2011, 31(10): 1221-1227. 傅逸贤. 中国东部山地第四纪冰期气候的初步分析[J]. 中国科学(B辑), 1982(11): 1050-1056. 杨怀仁, 赵英时, 谢志仁.中国东部晚更新世以来的海面升降运动与气候变化[J].第四纪冰川与第四纪地质论文集(第二集).北京: 地质出版社, 1985: 19-30. 竹淑贞, 陈业裕, 孙永福, 等. 上海地区第四纪地层与古气候[J]. 科学通报, 1985(5): 220-223. 陈安泽, 浦庆余, 张招崇, 等. 黄山花岗岩地貌景观研究[M]. 北京: 科学出版社, 2013: 1-156.